Charan Singh published a brief Hindi paper in December 1984 titled आर्थिक विकास के सवाल और बौद्धिक दिवालियापन? (“Questions of Economic Development & Intellectual Bankruptcy”) in which he reflected to his old thesis of the intellectual bankruptcy of Indian development discourse where we used models that were alien to our unique civilisational context and unequal to addressing the complexity of our society. 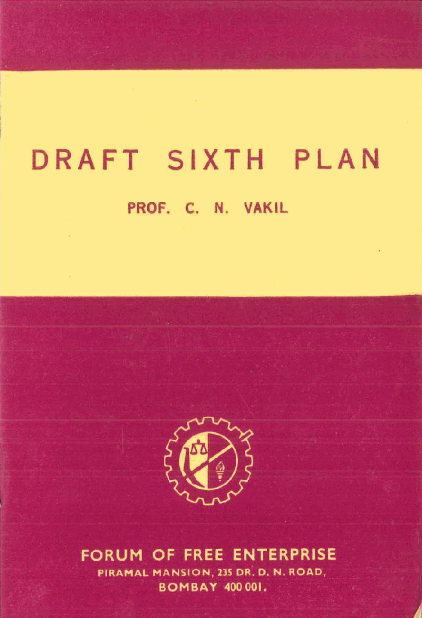 Here, on Page 5, he refers referred to a speech by Mumbai-based economist Prof. C. N. Vakil as validating his criticism of Jawaharlal Nehru’s policies.